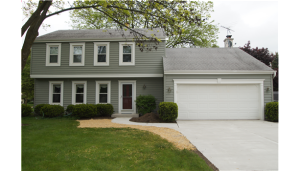 Love your home and your property but would like to freshen up the exterior siding with a brand new look? 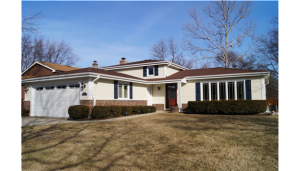 Exterior siding from Wilson Home Restorations can give your home a face lift by designing a new exterior to match your style and budget and using the best siding materials. 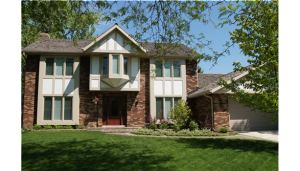 There are countless options and combinations of durable siding, trim, windows and doors, that can make your home’s exterior siding and trim, windows and doors look better than new! 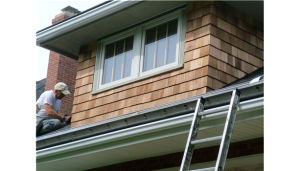 Styles like lap siding, panel siding, shake shingles, redwood panel siding are all available and can be installed by Wilson Home Restorations. 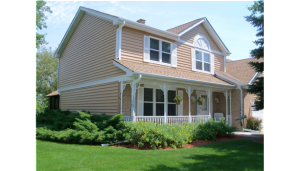 Wilson Home Restorations uses the “green and sustainable” siding products, with ColorPlus Technology™, featuring flame, pest and weather resistance and paint durability, from James Hardie® Siding Products, which combine beauty and durability. 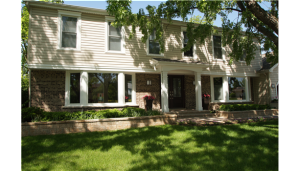 Browse James Hardie catalog [PDF]. 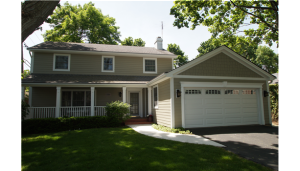 Wilson also proudly custom installs time-tested and certified MASTIC Home Exteriors products from QUEST Premium Vinyl Siding. QUEST products are available in a large variety of color and textures featuring Tri-Linear Rigidity® that offers extreme durability. 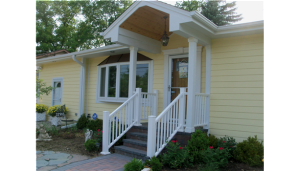 Browse QUEST Premium Vinyl Siding catalog [PDF]. 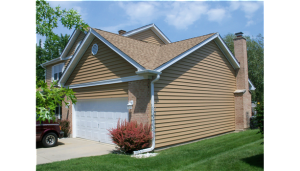 Fiber Cement Siding, or Cement Fiber Siding, may look like wood siding, but does not come with the problems of wood, which makes it an excellent siding for homes. Fiber cement comes with a baked enamel finish from the factory. 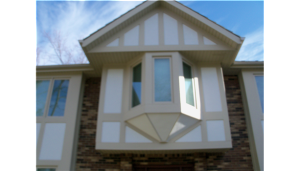 Many different styles are available, including standard lap, shake stucco, vertical or a combination. Cement board has a unique cement formulation and structure that makes it the ideal combination of strength, uniform composition and performance. It’s made better to install better so it performs better. 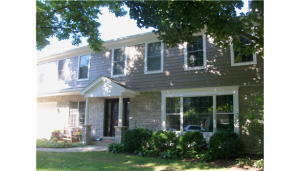 Composed of 90% Portland cement and ground sand, HardieBacker cement board from siding manufacturer James Hardie contains no asbestos, glass mesh, formaldehyde, or gypsum and can be used in place of regular drywall, gypsum boards, glass mesh cement boards, and “floated” walls/floors. 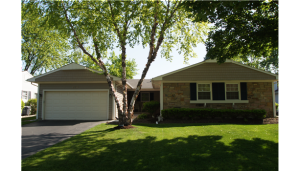 Pre-insulated vinyl siding can save money on heating and cooling while updating your exterior. 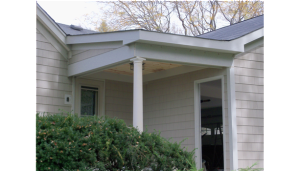 Our projects include insulated panels that carry an R-5 rating. This material is up to 20% thicker than ordinary vinyl product and offers uncompromising quality and durability. 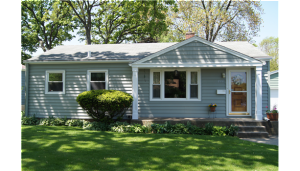 Similar to roofing, a siding job protects your investment. 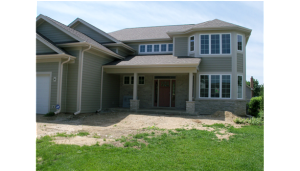 Our installers ensure that all exterior flashing, drip caps and vapor barriers are in place before any siding is applied. 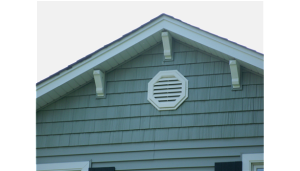 Additionally, all lights, outlets, dryer vents and attic vents are removed and replaced before the installation of siding. 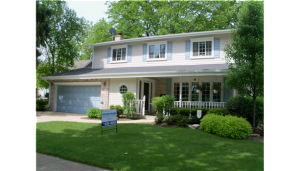 Tyvek Home Wrap Removing the old product will assure a straight finished product, and allow our installers to properly protect your home by fully wrapping it with Tyvek home wrap to keep air flow out allowing your existing insulation to keep its R value. Tyvek will keep moisture out while allowing moisture from the inside to flow out to keep you comfortable year round.